As Mercury spends his first full day in your income sector he's aware of the major developments over the coming days and that when lucky Jupiter returns in 2 days' time that your biggest and most potentially lucrative year for income matters in over a decade will kick off. Until then he's asking that you sit quietly with his smart head for money, getting your head in the game before major new doors open. In the meantime, Jupiter's last weekend in your sign is a chance to look at your long term objectives moving forward. 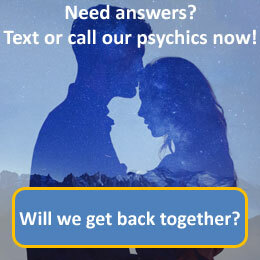 Call 09069 669 605 for a more detailed reading with our psychics today. Leo, the lion, is the fifth astrological sign of the Zodiac, originating from the constellation of Leo. Leo is considered to be a "masculine", positive (extrovert) sign. It is also considered a fire sign and is one of four fixed signs. Leo is ruled by the Sun. Some think of Leos as being usually averaged height tall yet some short, with high cheek bones, full lips, trim athletic legs, strong physical features, well-defined appendages (hands, feet, etc. ), and large, deep eyes. Leos also tend to have very soft skin and thick hair that shines in the sun. It is said they tend to keep their heads held high and look down their noses at others. Leos are considered faithful, passionate and magnetic characters. They can also be attention seeking, bossy and argumentative.